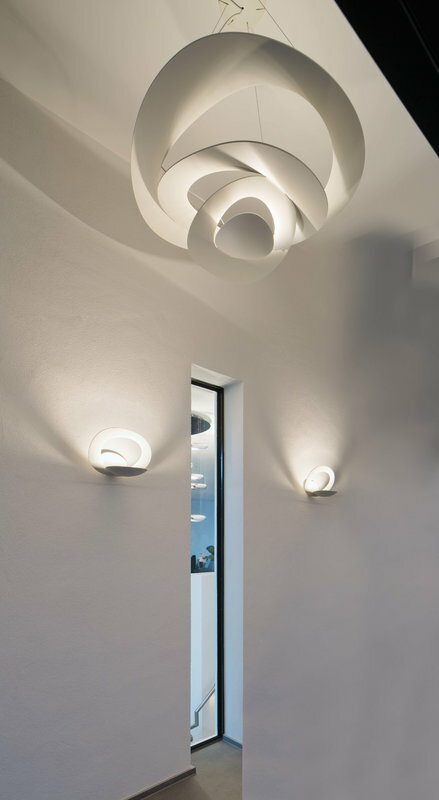 Pirce by Artemide is a fascinating pendant light consisting of spiralling aluminium discs. 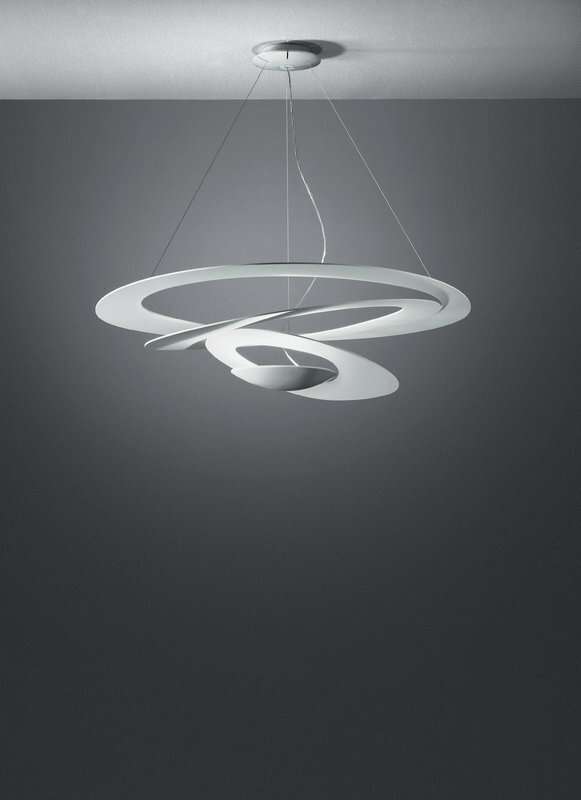 When fluttering in the air, the pendant creates a constant play of form, light and shadow. 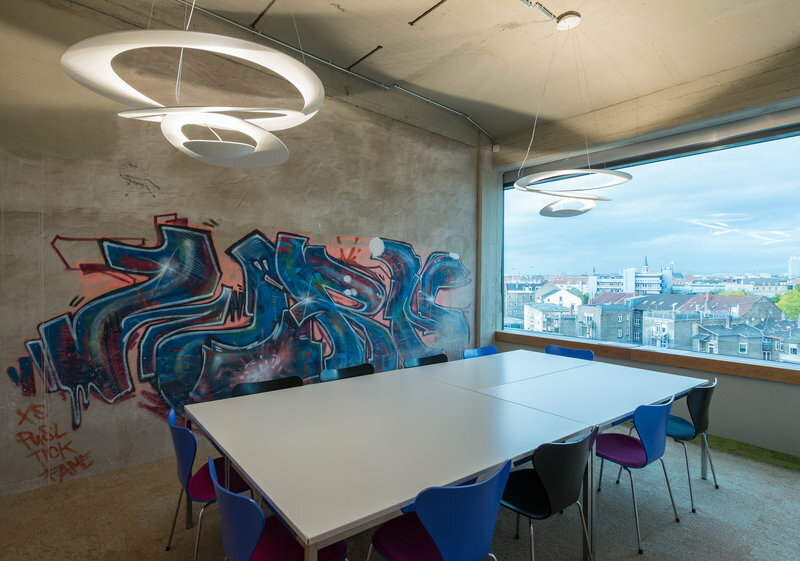 Designed by Giuseppe Maurizio Scutellà, Pirce has an airy and lightweight structure yet bold and powerful appearance. 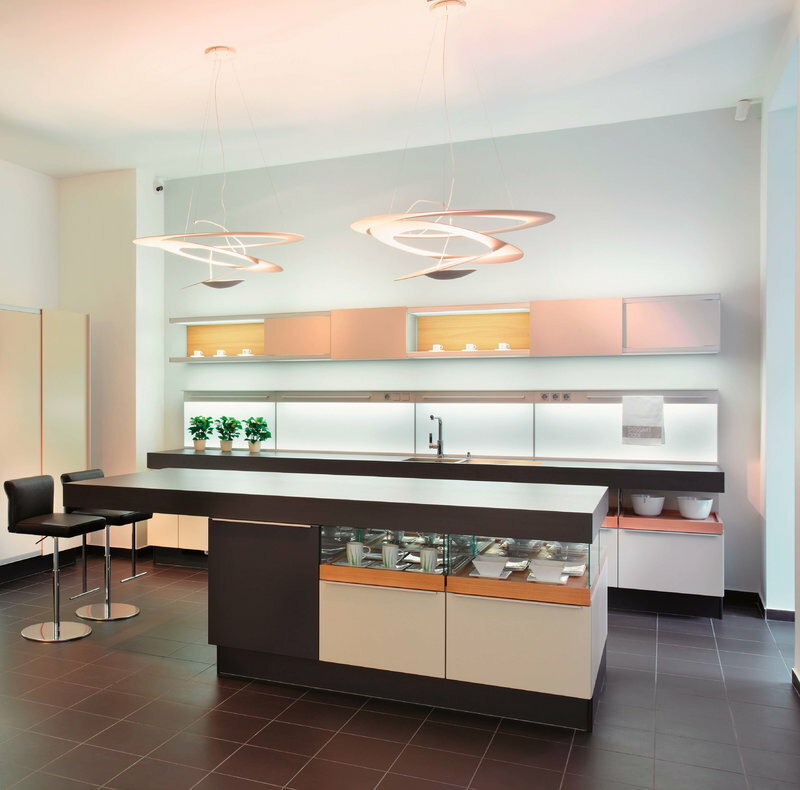 With almost metre-wide diameter, Pirce is a luminaire of ample spaces, but its moderate height makes it suitable for lower rooms and dining areas, too.